Greybrook Realty Partners Inc. announced today the successful closing of an equity investment by its managed issuer of $10,030,000 to acquire and oversee the development of a prime parcel of land located in Toronto, Ontario. Together with its developer partner, Marlin Spring, the firm will develop the land into a mixed-use condominium residence consisting of over 160 units and 5,000 square feet of commercial space at grade. 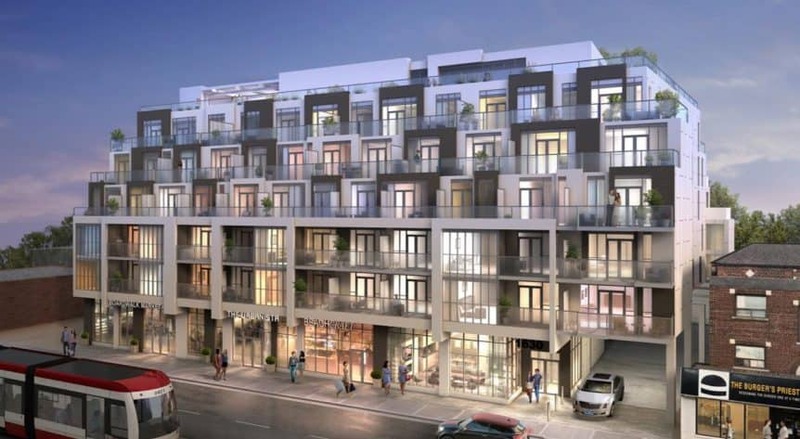 Located in the City of Toronto’s rapidly growing south Etobicoke region, the development site is situated in a burgeoning area being transformed by a number of new and planned residential and mixed-use developments. The site, located at 1049 The Queensway, is well-connected with quick access to the Gardiner Expressway and Highway 427, and a number of public transit nodes including Kipling and Islington TTC stations and Mimico GO Station. Nearby amenities include 400 acres of recreational and natural green space at High Park, the Humber Bay Park along the waterfront, the newly expanded CF Sherway Gardens, as well as popular retail chains, restaurants and the Cineplex Odeon Queensway Cinemas. In addition, future developments expected near the site will provide residents with restaurants, entertainment, and everyday essentials steps from their door.